Click to read actionable blog posts on Internet marketing, business and sales strategies to help you immediately boost traffic and sales. Everyone always THINKS they know what will improve a company’s bottom line: higher search engine rankings, higher levels of website traffic, more social media outreach, more products, more blog posts and on and on. But what if I told you that just by focusing on how users interact with and “use” your website to achieve their goals – what is often referred to as usability – by making it easier, friendlier and more intuitive, you could increase sales and conversions much faster and with less time and money spent than almost ANY other “traffic” generating initiative? So what is “website usability” and how can it be used (no pun intended) to spruce up your company’s current website to immediately convert a higher number of visitors into sales? 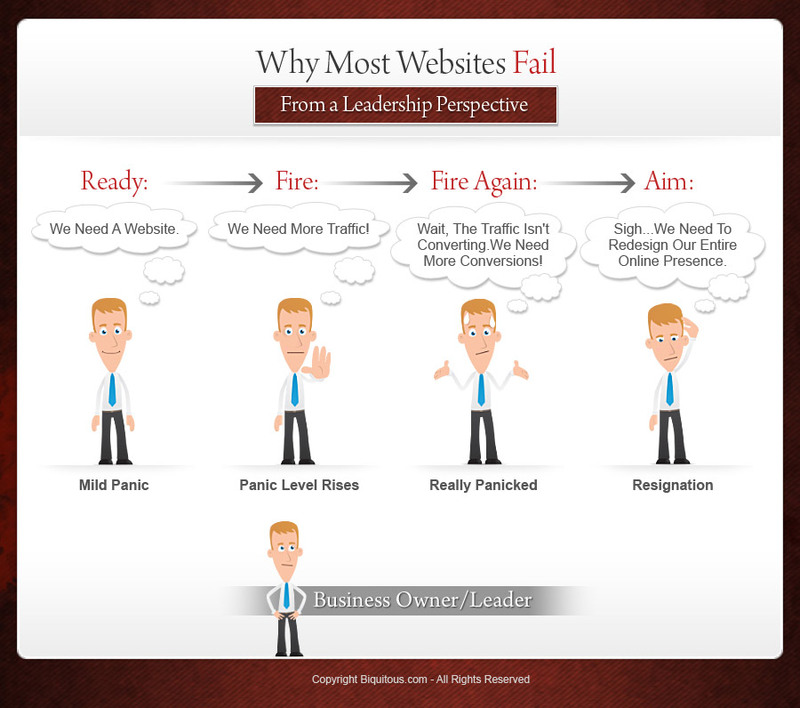 Most websites fail miserably at the only thing they were ultimately designed to do: Generate sales. You see, what often happens is that in a rush to get a website on the Internet and start branding, selling or collecting customer information, a business and the leaders responsible for that website, don't take the time to ensure that they are creating a sustainable and highly converting Internet presence. Let's call this the "Ready, Fire, Aim" approach vs. "Ready, Aim, Fire" -- with an extra "Fire" thrown in the mix. Sometimes we forget what really matters. We forget that the primary job of marketing is to elicit a strong reaction for our brand, products and services. Customers don't care how cool YOU think your products are, only how cool THEY think your products are! The landscape is littered with dinosaurs who thought their products were great (and in fact they might have been) but nobody cared because their marketing and connection with their target audience was not executed properly. Much to my surprise, a simple thermostat (really, a thermostat!) has reminded me of exactly why we cannot forget the core tenets of marketing, branding and connecting with our customers on a deep and emotional level -- call it Marketing 101. Let's Talk Thermostats and Internet Marketing -- No Really! 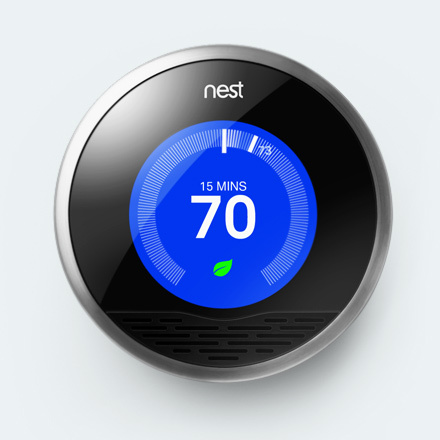 By now you've probably seen or heard about the new Nest Learning Thermostat. It's sleek, clean, beautiful to look at, and invokes a sense of wonder at the possibilities -- if a simple thermostat can be this cool, what else in your house can be turned into a functional work of art? It caught my attention because it had a little old lady talking about how she "puts that sh*t on everything". The "sh*t" she was talking about is Frank's Red Hot sauce, and it not only caught my attention, but it made me laugh hysterically. So let's talk about what the company did RIGHT with their offline and online marketing initiatives (as well as their website) and also look at what they did WRONG because inevitably, there are always things that could be done better or are being neglected, that a company can improve upon and that we can learn from. 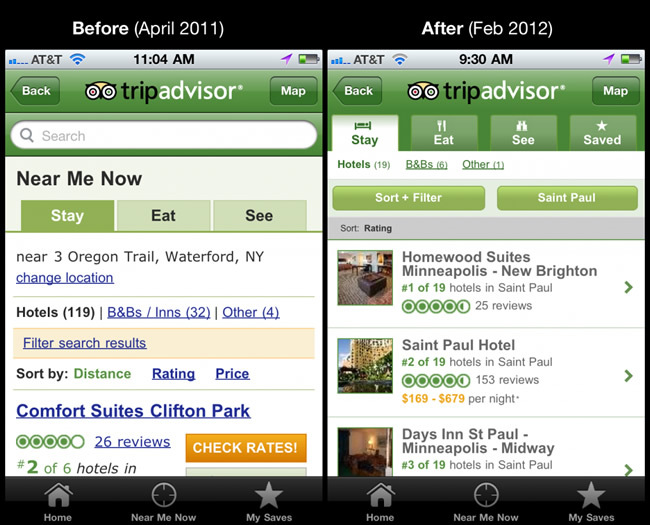 And while Frank's did a lot right, they also made some key mistakes that you can and should learn from. 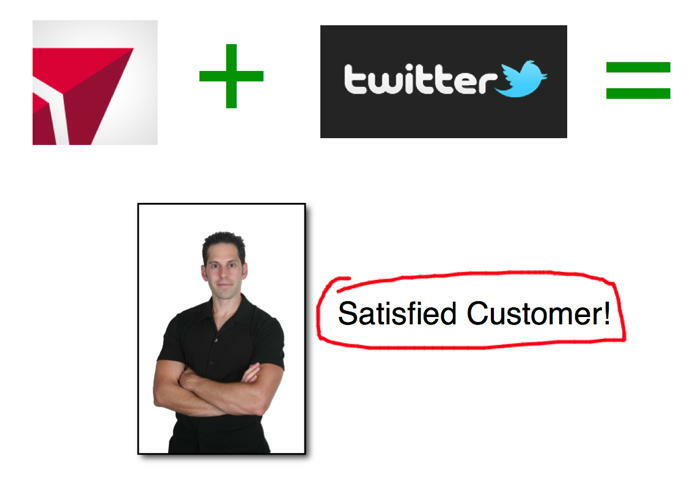 Delta Airlines and Twitter just saved my trip -- yeah, I'm as shocked as you are! I had read about how large Fortune 500 companies were using Twitter for customer service, outreach and for more than just to "engage" -- which I previously wrote was a bad idea in and of itself. But what I hadn't yet experienced is the power of social media -- specifically Twitter -- when I needed it the most. 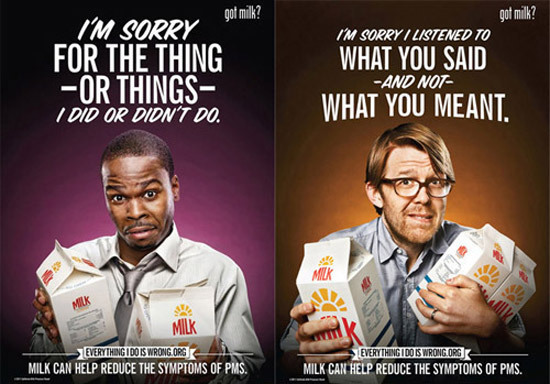 Got Milk PMS Ads: Social Media Disaster Or Stroke Of Genius? Wow, what a "disaster" the latest "Got Milk" marketing campaign turned out to be! The California Milk Processor Board in conjunction with their ad agency, San Francisco-based Goodby, Silverstein & Partners, launched a new social media campaign designed for guys to poke fun at something we've all dealt with directly or indirectly at one time or another. I'm sorry for the thing -- or things -- I did or didn't do. I'm sorry for listening to what you said -- and not -- what you meant. To me, the ads were clever, funny, witty and definitely served their purpose: to make the micro-site (everythingidoiswrong.org - now inactive) go viral and utilize social media to do the marketing for them. Lately things have gotten insane when it comes to Social Media. 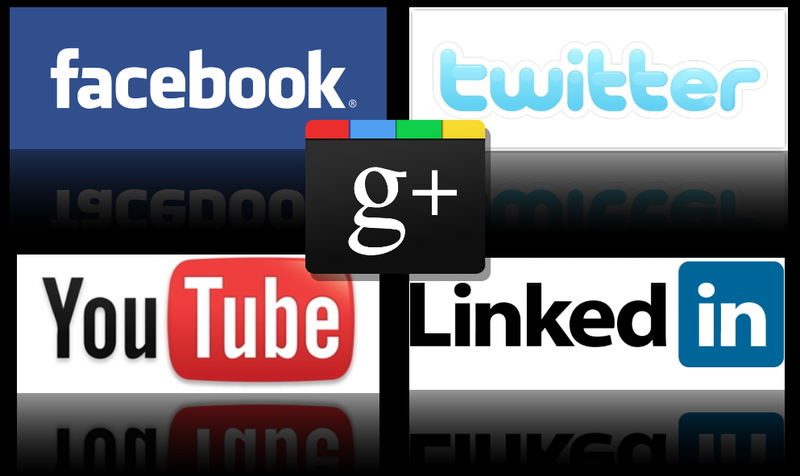 You then also have Google+ hot on their heels, as well as a whole host of targeted and niche sites that have started cropping up. 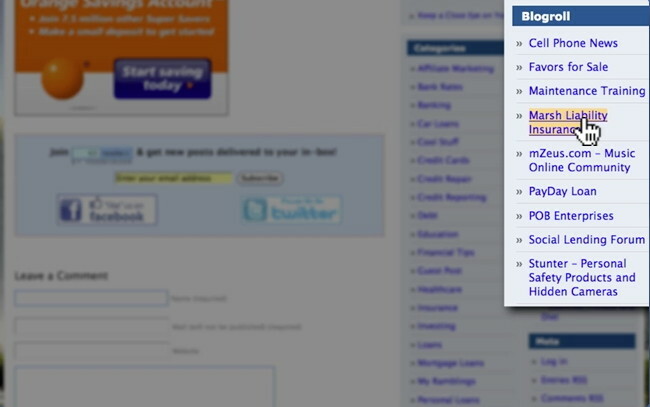 Heck even Google and Bing are using social media for search engine rankings now! If you're not following these guidelines, you're in trouble! Can you honestly tell me that your current website has high quality content on it? Is it a site that YOU yourself would want to read? 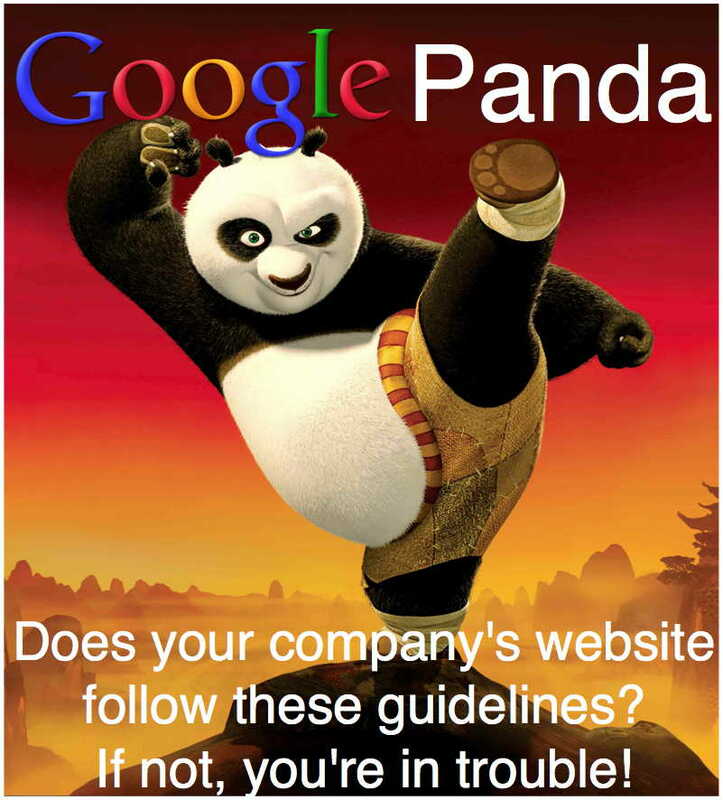 There's been a lot of pandemonium (no pun intended, see below) in the last few weeks regarding important changes to the way Google ranks websites. We've all known for quite some time, especially intuitively, that creating a high-quality website with great content, is the true way to win the hearts and minds of your target audience. The article talks about how Overstock.com, one of the largest online retailers, got severely penalized by Google as a result of less than honest practices in trying to improve their search engine rankings. The same type of scheme was widely reported last week in a New York Times piece as being perpetrated by JCPenny (who would have thought...). Hey Google: You’re Really Starting To Piss Me Off! This is a special real-life series that analyzes and audits one website's Internet presence and SEO strategy in order to provide powerful takeaways for your website. This edition is going to focus on Proliability.com, a professional liability insurance company. Proliability has some problems with sparse content, lack of social media presence and -- most disturbing to me -- the possibility that they were paying for links and other issues that need to be addressed immediately. ==> Click the post title to watch a larger video or read the full transcript so you can apply these suggestions to your website immediately. 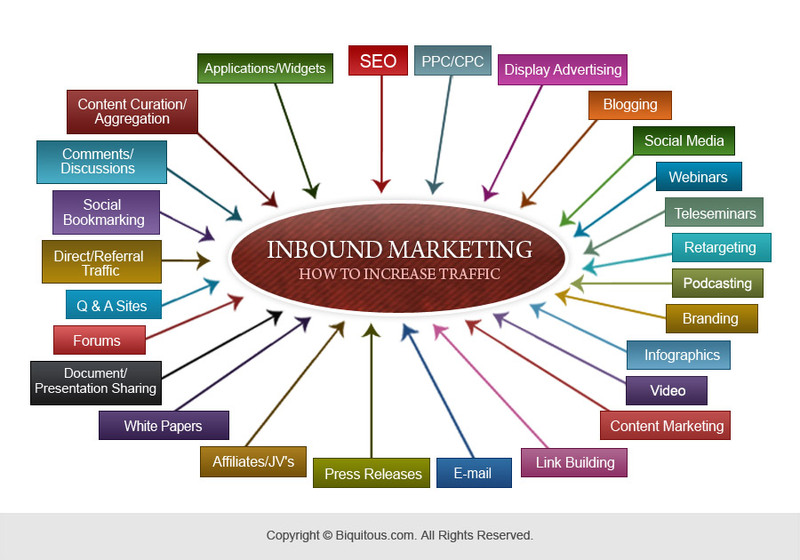 We're not just an Internet marketing firm. Rather, we're your partners in creating a thriving and successful online presence that will stand the test of time.